Can be mixed with sawdust and used for filling knots and notes in timber and wood. 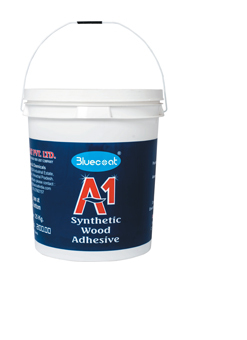 Economical adhesive for mass produce furniture with quality assurance from Bluecoat. Use for bonding plywood, MDF, Particle board, Laminate and veneer to each other good for wood working. Plastic container - 20 Kgs.